Feeling or Facts : Which is first? Well, it really depends on the situation at hand. Let me bring your attention to the 3 most important elements that motivate, drive and give us enormous power. According to Dr. Lawrence J. Crabb, the 3 elements are Fact, Faith (Action), and Feelings. In this context, the word faith is not referring to a spiritual meaning but a belief in doing the right thing based on facts and reality. For most of us, feelings affect our behaviours or actions. However, we should not always allow our emotions/feelings to lead us, instead, we sometimes may need to allow facts, truth and reality to lead our actions. Facts which are followed by actions ( having the faith that we need to act on what is right and appropriate). Just get started and sometimes the positive feelings will flow along. 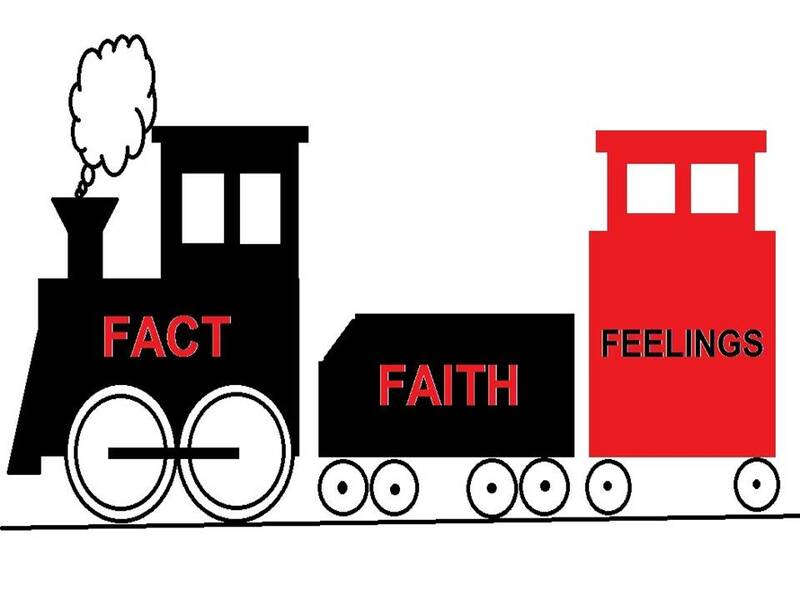 When we allow Facts to guide our actions ( moving in Faith ), Positive Feelings will eventually occur which will further energize the whole “engine”! ***HOWEVER, during the process of helping someone who is feeling overwhelmed by intense emotions such as grief, sadness or fears, it may appeared insensitive to argue with the person based solely on logic, rational thinking and facts. In such situation, empathizing with the person’s FEELINGS is of utmost importance before dishing out any factual reasoning. The person needs to feel listened to and understood in the first place. *** In the event where the overwhelming feelings became very intense or persistent or affecting his or her daily activities, then we need to consider the possibility of a mental health issues which may require professional help.